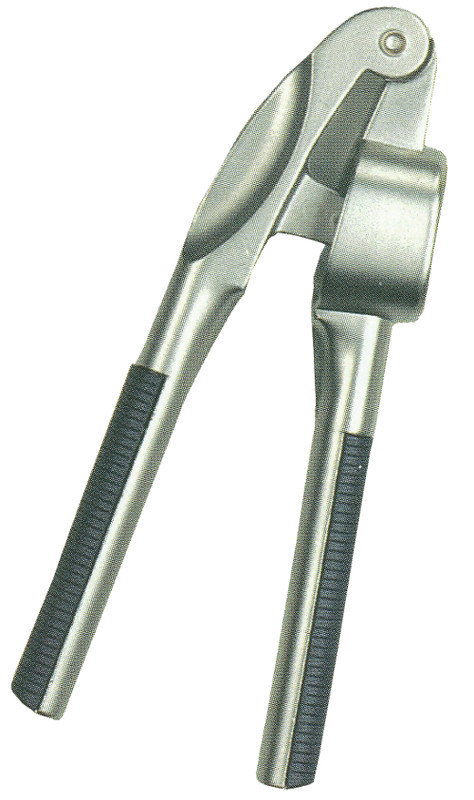 This is a traditional style garlic press with a modern updated design. If you just want to get on with cooking rather than playing around with plastic gadgets this is the one for you. Shove in clove, push, crushed paste comes out, simple. As you can see the garlic press is solidly made from metal. In fact a super strong die cast zinc alloy. As you can also see there are beautiful midnight blue grips and an up to the minute streamlined design, so this looks really special. We think the garlic press would make a great gift, for yourself or others, something that will be used frequently and last for many years. Garlic Press text, images and video are copyright.